I have created design GUI using java by programmatically. I want to add some of JPanel to my JFrame (mainwindow). I set JFrame layout using BoxLayout. 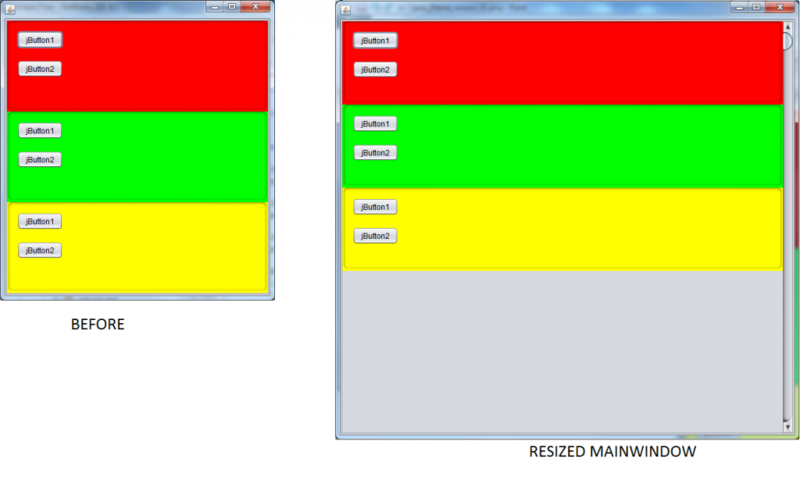 I am use BoxLayout because want the children resize only width. 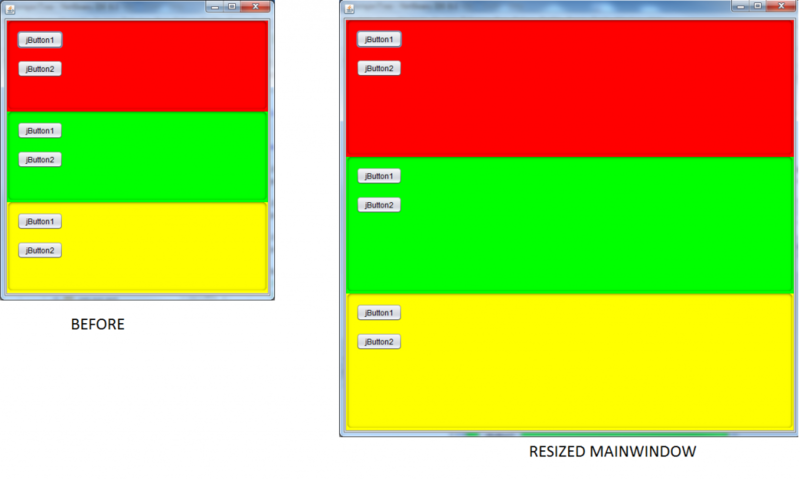 But, when I resize the mainwindow (JFrame), children width and height is resized. BoxLayout expanding all children width and height. Add Box.Filler to our BoxLayout prevent all children expanding they height.